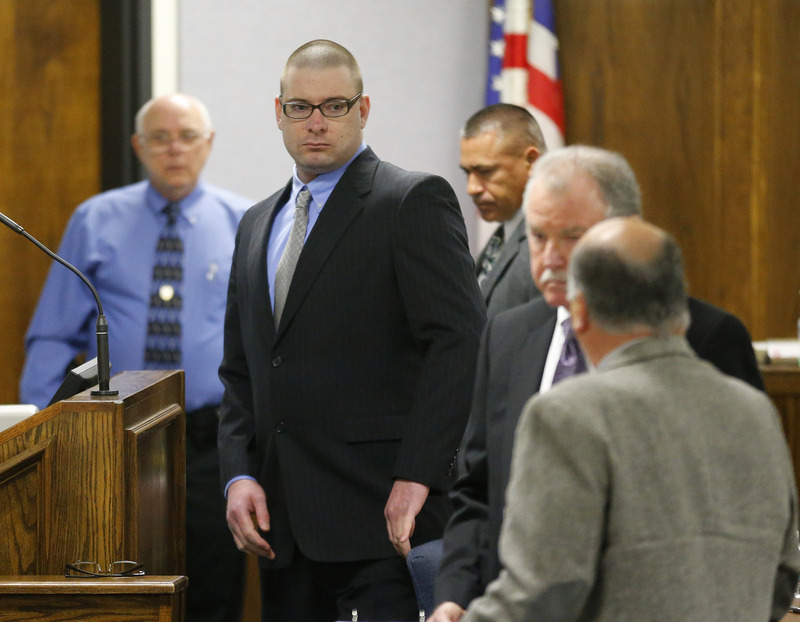 Jurors In Eddie Ray Routh's Trial Weren't Banned From Seeing 'American Sniper,' But Will That Affect Their Decision? American Sniper, the story of deadly shot Navy SEAL Chris Kyle, has and continues to break records at the box office. At the 87th Annual Academy Awards on Sunday night, however, the film walked away almost empty-handed — the Clint Eastwood-directed biopic only took the statue for Best Sound Editing, though it had six nominations including a nod for Best Picture and Best Actor. As the Oscar fire wanes, though, the very real trial of Navy SEAL Chris Kyle's alleged killer, fellow former soldier Eddie Ray Routh, goes on. In an unprecedented move, the judge of the trial did not issue a gag order for the members of the jury to watch the Oscars, though the norm is a prohibition on any media having to do with the case. So will last night's award ceremony have an effect on the jury's decision? According to ABC News: "After each day of the murder trial in Stephenville, Texas, State District Judge Jason Cashon has reminded the jurors to avoid any media coverage, but he has not banned them from watching the Oscars with closing arguments scheduled to begin Monday." And as the jury consultant Jo-Ellan Dimitrius says, the overlap of the Academy Awards and the Routh trial is "unprecedented." Eddie Ray Routh allegedly shot and killed Chris Kyle and his friend Chad Littlefield at a gun range in February 2013. Oddly enough, Chris Kyle's widow, Tara Kyle, briefly left Dallas where the trial is taking place to attend the Oscars ceremony, and she brought her husband's dog tags along with her. In an interview on the red carpet, Kyle said she was attending "to represent my husband, military families and the beautiful people who put more than they had to to make this movie happen." It's not so much a surprise per se that Kyle attended the Oscars ceremony, but rather that she left the trial in order to be in Los Angeles for the awards. She was also the first witness called to the stand in the case, and that coupled with her red carpet appearance must have had an impact on the jury. And the fact that members of the jury were NOT barred from seeing the film, reading the book or watching the Oscars ceremony is truly unprecedented. But, even though the jurors were not prohibited from interacting with American Sniper, Dimitrius remained hopeful that they would be impartial and perform their civic duty. I'm not so sure—and that is no discredit to the jurors themselves. But I know that were I in their position, it would be impossible not to let American Sniper and all the film's attention affect my judgement. If I've said it once, I've said it a million times: entertainment does not exist in a vacuum. Selma being snubbed at the Oscars was a greater reflection of the disenfranchisement of black artists in Hollywood, and further, when John Legend and Common accepted the award for Best Original Song, they made certain to highlight the timelessness of the film, saying Selma is now, and we're in an age of protest for rights now more than ever. Naturally, American Sniper makes a hero out of Chris Kyle and paints the Iraq War in a positive light. And that is its prerogative: but since its release, many soldiers have come forward to urge the public to see the film as one narrative of the war and not a definitive universal experience. And seeing Tara Kyle on the red carpet with her husband's dog tags is an image that would stay with anyone, whether or not the jurors agree with the pro-war sentiment of the film or not: here is a woman who has lost her husband and wants to support widows of other veterans. And Routh's defense attorney J. Warren St. John expressed concern at the outset of the trial about the concurrence of the film's screening with the trial, wondering if they could find an impartial jury. This trial has moved at a remarkable pace, and though it's been temporarily delayed on account of cold weather, the jury could reach a decision possibly in the next few weeks. And when they are deliberating, will that image of Tara Kyle on the red carpet, or Bradley Cooper on the big screen as Kyle, be in their minds?